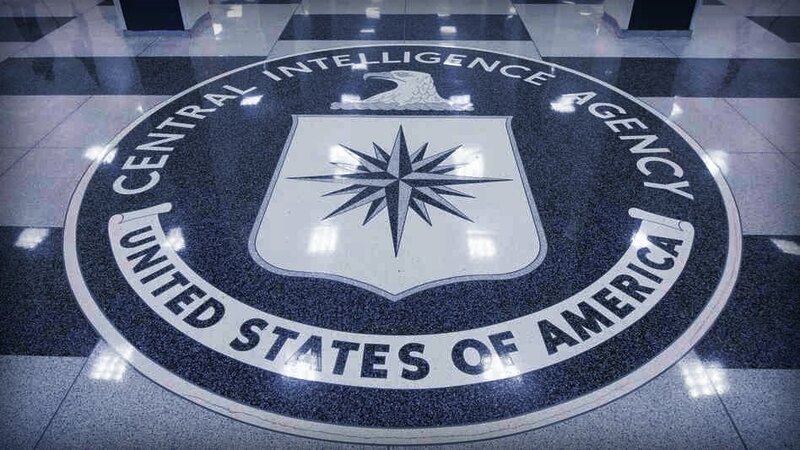 The Washington Post, in a front-page splash on Friday, fingered the CIA for allegedly confirming the wild rumors of Russian hacking that were concocted and spread by Democratic lawmakers for months preceding the election and the weeks since the GOP win. The Washington Post’s story, however, contained no CIA sources and in fact, no credible U.S. intelligence agency sources whatsoever. Instead, it hinged on what unnamed lawmakers had supposedly been told by unidentified, supposed CIA-linked sources in “secret” briefings: That the CIA had developed proof the Russian state waged an orchestrated campaign to destabilize the U.S. election to benefit GOP-candidate Trump. Multiple CIA sources are now denouncing the Washington Post for knowingly reporting misleading national security intelligence. Intelligence insiders said no one in the Agency or in the FBI, who is running at least one parallel inquiry, has ruled out a possible internal leak within the Democratic National Committee from actor(s) inside the United States who funneled private DNC emails to Wikileaks. On the rabid Sunday morning political talk show circuit yesterday, fueled by the Washington Post’s thinly-sourced yet highly-lauded reporting, Sen. John McCain implored President Elect Trump to look at the CIA-Russian information which he said was credible. McCain, however, as the Senate Armed Services Committee chairman, had strangely never publicly disseminated such intelligence prior to Sunday. And no other elected officials have stepped up to echo his narrative or that of the Washington Post. CIA and intelligence sources, however, quickly countered McCain’s claims as speculative at best, saying his information is simply not accurate and he, as the Arizona senator has done previously, was grandstanding for the media without knowing key facts. “If he (McCain) in fact is being told that information, it is bad information,” a CIA source said, pondering whether McCain had perhaps been briefed by outgoing CIA Director John Brennan or his loyal Agency underlings. Multiple sources said Brennan and his inner circle in the Agency could not be trusted to disseminate any true intelligence, especially in their final days on the job, without tainting raw data with political ideologies that parallel their White House boss. Could the Russian state be linked to hacking to influence the 2016 U.S. election? Intelligence analysts, again, reiterate there is no overwhelming current evidence to definitively link any government to such rogue actions. The CIA sources’ collective assessment that the Washington Post purposely and brutally misrepresented the CIA’s findings is the third blow to the embattled newspaper in the last week, having been busted writing two other high profile fake stories on national security that were quickly proven to be problematic and ultimately bogus. A veteran beltway journalist, author and award-winning professor said very little has changed at the Washington Post since he worked as a Beltway journalist covering politics in Prince George’s, Maryland. Sadly, he said, the Washington Post’s recent practices are not the exception but the rule at the newspaper. Morris worked for Time Magazine, the New York Post, Gannett’s Democrat & Chronicle newspaper in Rochester, NY and Washington Star, D.C. A graduate of Cornell University with a bachelor and Master’s degree, Morris is currently an award winning journalism professor at Hunter College in New York City. Morris has chronicled the decline of the mainstream media, especially the Washington Post, for 30 years as a professor and journalist and is currently working on a new book about corruption in undergraduate higher education. Story debates itself. Certain parts of the story directly contradict other so-called facts of the same story. The reader is rendered bewildered; the narrative’s “facts” prove untrustworthy. Haphazard construction. The story’s sloppy foundations and reporting were likely the result of it being constructed on a rush basis or under pressure from editors or the publisher. Weak sourcing. The story fails to nail down a true link between what the Post claims and DIRECT confirmation from CIA sources. “There are no sources with direct knowledge, it’s just all hearsay,” Morris said. “Who cares what some partisan Senators or lawmakers say they were told. The Post needs real sources on this. Without CIA sources, this story wouldn’t even make it out of my classroom alive. Morris is far from alone when questioning the Washington Post’s credibility on its concocted narrative of the flimsy CIA-Russian allegations story. Trump, in an interview with “Fox News Sunday,” dismissed the “revelations” as complete partisan nonsense.